For full details of Pride, please see the event in the Chiang Mai Gay events calendar. We will keep this up to date with further information about the event as it is announced. What we know so far is that the event will start at 6 p.m. with a parade from the Night Bazaar to Thapae gate where it will continue until 10 p.m.
Chiang Mai Pride is a time to campaign for an end to violence against a variety of sexual groups all over the world, and celebrate the battle for inclusiveness in sexual diversity and gender. A day to promote protection for sexual minorities against violence, reflect on the past and promote a better quality of life for all LGBT in the future. A decade is a long time, and things have definitely changed, hopefully for the better, since that fateful day in 2009. Indeed, many who were not familiar with Chiang Mai back then may not even be aware of what happened and the significance. The following section reproduces an article from 21 February 2016 which explains the events of 21 February 2009 and analyses the consequences. A lesson that hopefully has been learned is the need for solidarity between all LGBT organisations and factions. The origin of the problems in 2009 was disunity between opposing parties in the LGBT community with certain so called “gay activists”, which was said at the time to have included foreigners, objecting to the event. Foreigners are guests in Thailand and there are times when it is prudent to respect their status and hosts. 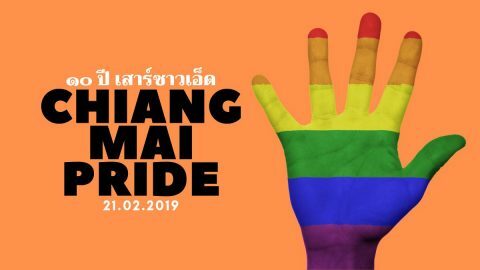 Chiang Mai Pride, whilst no doubt attracting many foreign visitors and well wishers, should be an event organised by Thai LGBT, primarily for Thai participants, whilst recognising that many others will eagerly join in as supporters and spectators. February 21 2009 started as a day of hope and great expectation in Chiang Mai. It was Gay Pride day and, after some uncertainty, it was going ahead. People were happy and looking forward to an afternoon of fun, with a Parade along Chang Klan road through the Night Bazaar, followed by a party and live on stage entertainment at the destination. What followed was anything but a celebration. The parade had just started assembling when it was surrounded by an organised protest mob from the Rak Chiang Mai 51 group of the UDD movement. Armed with placards and megaphones these protesters demanded the parade be cancelled on the grounds that a gay parade would “destroy our beautiful culture”. A stand-off continued for some time. Faced with many protesters by now whipped up into a frenzy, the possibility of violence was quite real. The organisers capitulated and called off the pride event. More aggression was also seen at the destination where they were forced to abandon everything and dismantle the stage. We have written about the events of that day before in these articles Five Years Ago Today – The last Gay Pride, and February 21 – End violence against LGBT. This article in Chiang Mai Mail gives a thorough account of what happened that day. As news spread around the world Chiang Mai was in the headlines for all the wrong reasons, and certainly not for its beautiful culture. The homophobic reverberations were felt through the LGBT movement worldwide and put Chiang Mai in the spotlight like never before. Global commentators lined up to condemn what happened in Chiang Mai whilst gay people here began a long period of fear and introspection. Foreign visitors and ex-pats were shocked and angry, especially as it followed only a month after the brutal murder of a well-known gay ex-pat in the city. Outwardly, little changed; apart from a new subject for bar stool chit-chat, the foreigner orientated bar scene and gay entertainment businesses continued with little disruption. But, for Thai gay and LGBT people living in the city, these events hammered home a harsh new reality. Many, especially those feeling insecure about their sexuality, adopted a low profile as the ramifications of this new homophobic environment shattered their aspirations. Despite its homophobic overtones, the protest was in fact about the political objectives of the protest organisers rather than a genuine anti-gay cause. The protesters came from rent-a-mob rather than any grass roots organisation concerned for Chiang Mai’s culture. The incident may have bought world-wide media coverage for the protesters, but did so with collateral damage to both the city’s gay populace and its much vaunted culture. 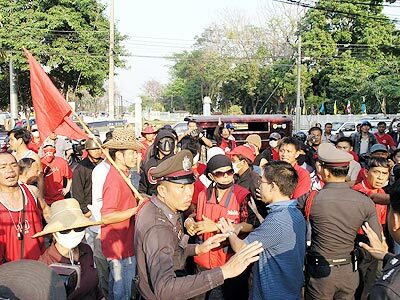 The later was now well tarnished as this event, along with other political protest activities did incalculable harm to the city and Thailand’s international image. Ironically, the spark that ignited this protested started with dis-unity within the so-called gay community. One activist faction, apparently including foreigners with different ideas and objectives for gay pride, petitioned the governor to ban the event which had been organised by the Thai run NGO M-Plus, primarily as an HIV awareness initiative. It was approved by the authorities, but the objections were now in the public domain and taken up by others resulting in the confrontation on the day. Thailand – A paradise for LGBT? Many foreigners perceive Thailand, and as a destination for ex-pat retirees, particularly Chiang Mai, as the perfect gay Paradise. There are no laws against homosexuality and gays outwardly are quite visible here. The Thai attitude of “Mai Pen Rai” and a cultural aversion to argument and confrontation means that overt homophobia is rarely seen, except perhaps from a few foreign bigots. Though the smiles of Thai onlookers as one walks past hand in hand with a boyfriend may not convey the message you think. Especially if the Thai partner is a generation or two younger. Moreover, transgender people or ladyboys, known in Thailand as Kathoey, are very prevalent perhaps giving an impression of normality that isn’t typically present in western cultures. Although seemingly beautiful, successful and accepted, the truth is usually the opposite. Kathoey are often forced to the margins of society and not accepted in mainstream business and commercial life, except for menial jobs or for novelty value. Hardly surprising then, that in tourist destinations, so many perform in cabarets with a few also turning to prostitution. The more entrepreneurial run their own businesses; being strong willed enough to be a ladyboy is a good mind set for autonomous independence. But, for the aspirational Thai gay youth, life is not going to be easy. Visibility in Thailand does not equate to acceptance and an out gay person will face significant extra obstacles to educational, career and social advancement within Thai society. This is especially true in middle class Thai Chinese families where male offspring are expected to marry and provide a contribution to the family unit. These cultural issues hide the real situation and mean foreign gay visitors often mis-conceive Thailand as being more gay friendly than it is. In Chiang Mai, the blatant homophobia exhibited toward gay Pride participants has created a mind-set of fear and oppression amongst gay Thai, many of whom might have been out and proud, but have reverted to hiding their sexuality. Although not the only reason, it is in part to blame for why much fewer gay Thais now frequent the bars visited by foreigners. There has certainly been a sharp decline in younger gay Thais visiting the bars since the Pride calamity. This article, “Where did all the nice boys go” discuss the subject in more detail. 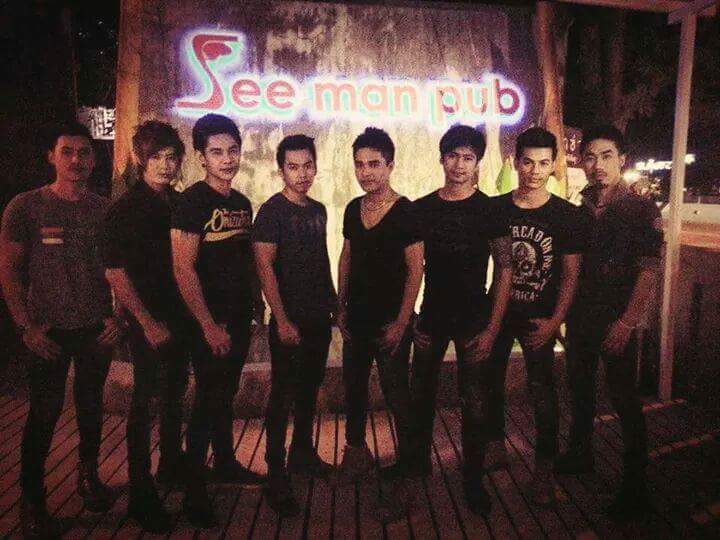 There was some resurgence in the Thai gay scene with late night venues such as G-Star and See Man Pub, which offered a discreet space where gays could be themselves. However, the crack down on opening hours by the current regime has frustrated these businesses and both are currently closed. There are now almost no gay bars specifically catering to Thai gay men in Chiang Mai. The effects of the pride homophobia are still being seen even seven years later, even though political stability enforced by the current government has removed the threat of similar protests, at least for now. So is Pride dead in Thailand? Bangkok Pride has not run for several years; organisational disputes and financial issues had dogged it in previous years and there seems limited enthusiasm to re-open these issues. 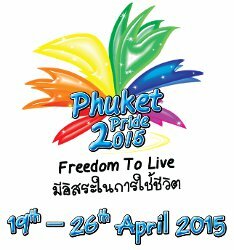 Only Phuket has had an ongoing viable Pride. Phuket Pride, has been successful in raising money for HIV charities but is essentially a foreigner orientated non-political affair run by a group of ex-pats primarily for other ex-pats and tourist visitors. This has also been criticised for not including Thais and political issues in the agenda. 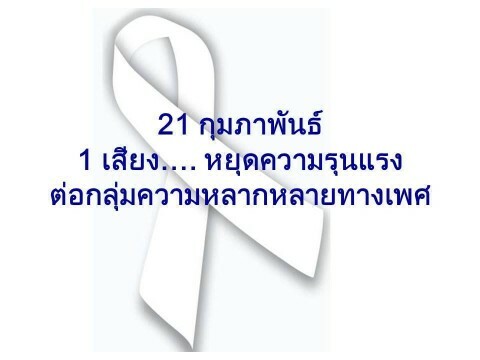 21 February 2009 is the day Chiang Mai was disgracefully brought to the attention of the world, not because of its seven hundred year history, Lanna architecture, cultural heritage, temples, natural beauty and fabulous people, but because of a small intolerant minority with a political agenda. 21 February is now the day to remember violence and persecution against LGBT.